FISHERMEN in Icacos and Cedros say the freshwater fish market has declined drastically within the last six weeks. They blame the government for "killing" the fishing industry. Chairman of the Cedros Fishing Co-operative Society (CFCS) Lewis Padarath says in light of the price of gas, fishermen no longer bring in the money they are accustomed to. “We have been complaining for many weeks about the cost of super gas as compared to regular gas,” Padarath said. Since regular gas was taken off the market, he said, fishermen have suffered great losses as they must now pay twice as much for gas, as well as oil, and paying workers to operate their boats. “We cannot increase the price of fish, as vendors already complain that the wholesale prices are too high,” he said. Icacos Fishing Association president Esook Ali said fishermen from his district are definitely operating at a loss. “There is a huge market for freshwater fish but it costs a lot to go out at sea and complete a full day’s work,” Ali said. To fill a tank of with super gas costs $400, compared to $160 for regular gas. Padarath will join Ali and councillor for Cedros Shankar Teelucksingh at a meeting tomorrow to discuss protest action. Teelucksingh said there are many issues affecting the fishing industry and the fishermen can no longer make a comfortable living from freshwater fishing. In reply to the fishermen's call for regular gas, Agriculture Minister Clarence Rambharat said its availability gas is a matter that the Energy and Energy Industries Minister, Franklin Khan. has spoken about. “Khan has explained that there are difficulties in sourcing the gas abroad especially given the small amounts used locally,” Rambharat said. Rambharat said nevertheless he is still trying to address this matter and bring relief to the fishermen, and there are fisheries officers assigned to every fishing district in the country. “I encourage fisherfolk to meet with these officers as a first step,” he said. 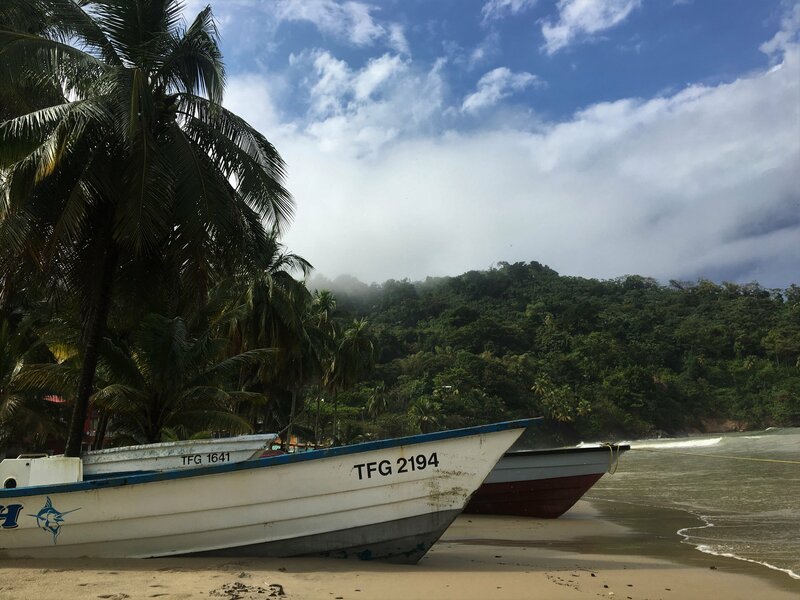 Teelucksingh said fishermen from Icacos, Cedros, Fullarton, Bonasse, La Brea, Granville and Chatham will be meeting with attorney Gerald Ramdeen to find ways to dealing with their issues. The meeting will take place at the Cedros Fishing Port today at 3 pm. Reply to "Fish market declines in Cedros/Icacos"